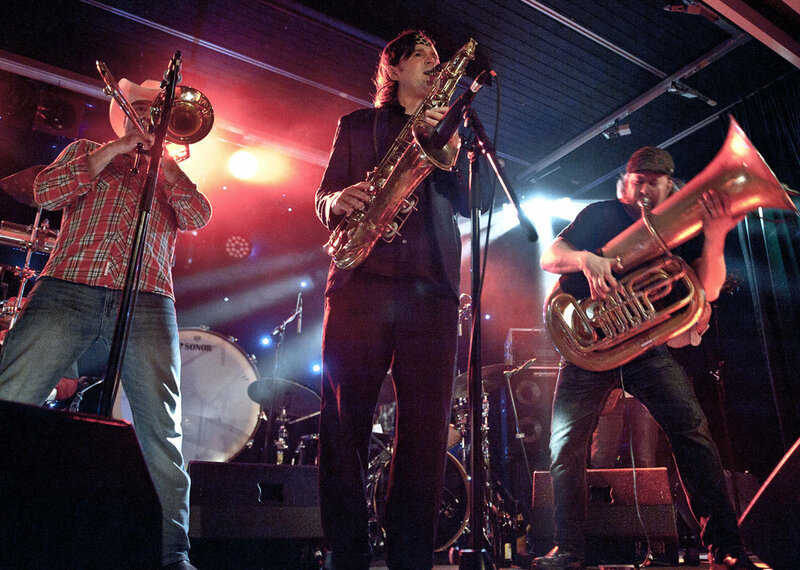 An intense Psycho-Mambo party band, bringing fire and brass, lascivious guitars and rousing percussion, into intimate sweaty clubs and festival stages alike. Gato Loco has been bringing their unique schizoid energy from New York City around the world for years, embracing an all-encompassing sound of irreverence, rebellion, and abandon that defies place or time. Gato Loco’s “The Enchanted Messa” is a new interpretation of Giuseppe Verdi’s 1874 mass for the dead, the Messa de Requiem. Inspired by the Acoma pueblo in New Mexico, Gato Loco’s rendition combines Requiem’s melodies with mambos, metal, and cartoon humor, brings their typical level of irreverent enthusiasm into Verdi’s masterpiece.